Sam Hill has continued to smash the EWS this year, not bad for a rider on flat pedals who still runs those tiny 27.5in wheels. As a bit of a Thank You for Sam’s hard work and determination over the past season, his team decided to set him up with a new custom painted Mega. 2 years ago, Nukeproof gave Sam a Grave Digger inspired bike, this new model takes inspiration from his tattoos along with a few personal touches his teammates added here and there. Day of the Dead inspired paint job. 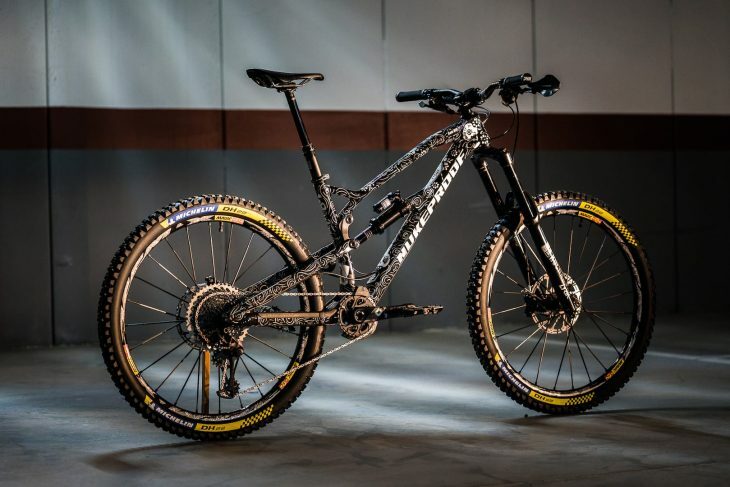 NukeProof Team sponsors were also in on the surprise, with Mavic supplying a set of matching custom Deemax Pro wheels and AVS a pair of hand-painted handguards. 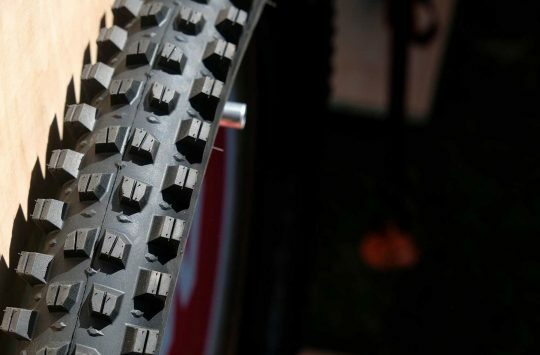 We’re guessing Michelin didn’t get the memo though as it’s the only part of the bike that detracts from the overall build. If you’re heading out to the Enduro World Series stages at Ainsa or Finale Ligure you’ll be able to see this “Day of the Dead” inspired Mega 275c in the flesh for yourself. “Short of Sam’s awesome performances this year there is no real reason to be dropping this bike now, but we’ve wanted to do something a bit personal for Sam as a little thank you for this year. 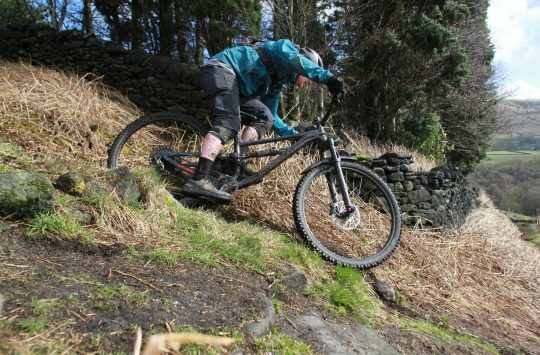 The Nukeproof design team always love these sort of challenges to inspire and allow them to express their creative sides (Huge thanks to Colin and Enrique). Our latest creation Día de Muertos (Day of the Dead) Mega 275c follows on from the Grave Digger Custom Mega we did 2 years ago. Something again a little personal to Sam. Inspired by Pedro and Wanita (Sam’s skeleton tattoo’s on his shins). We hope you like the wild vessel as much as Sam and our team did. It’s difficult to convey all the details, it’s designed as a bit of fun inspired from Sam, his family and amusing things we know he would like. Stoked of his reaction to the new vessel and can’t wait to see it on the Enduro World Series stages of Ainsa and Finale Ligure. A huge thanks to our local paint legend Jonny at Elite Refinishing, Belfast. 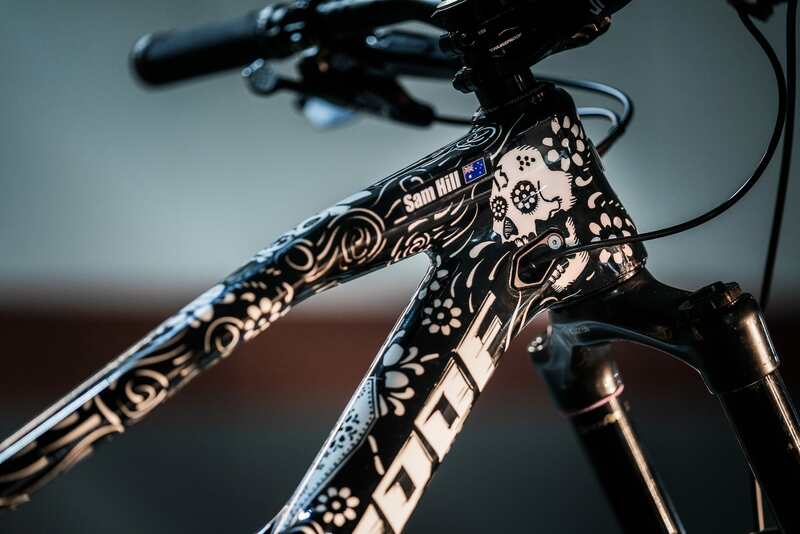 Countless man hours, blood and profanities have gone into creating the awesome hand painted Mega 275c frame. A huge thanks to Mavic for the custom matching Deemax Pro wheels, AVS handguards (you going to need them in Ainsa). Still to come are a few more treats from key team sponsors for Sam, we will drop them as we get them, so keep your eyes peeled. 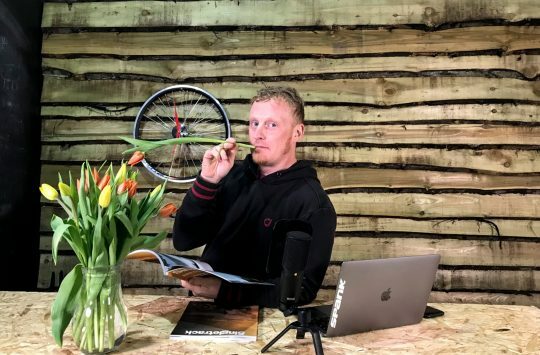 Steve Peat's "Bikes And Beers" Tour Coming To A Venue Near You! The side-angle doesn’t do it justice. Some of the nicest touches are on the top and back of the tubes. The cable port at the bottom of the downtube is superb. Definitely one of the best paintjobs of a pros bike I’ve seen. I never thought I’d say that about a black bike!